In recent years, the UN Human Rights Council has approved the 'Respect, Protect, and Remedy' Framework and endorsed the Guiding Principles on Business and Human Rights. 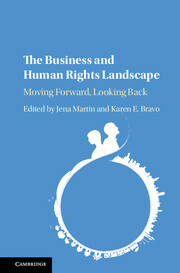 These developments have been welcomed widely, but do they adequately address the challenges concerning the human rights obligations of business? This volume of essays engages critically with these important developments. 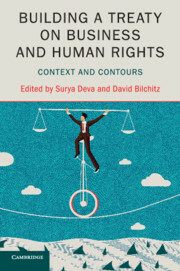 The chapters revolve around four key issues: the process and methodology adopted in arriving at these documents; the source and justification of corporate human rights obligations; the nature and extent of such obligations; and the implementation and enforcement thereof. 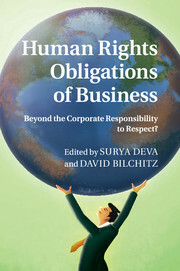 In addition to highlighting several critical deficits in these documents, the contributing authors also outline a vision for the twenty-first century in which companies have obligations to society that go beyond the responsibility to respect human rights. 14. 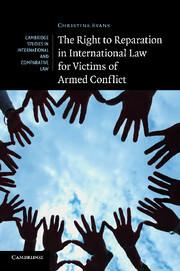 Access to remedy: the United Kingdom experience of MNC tort litigation for human rights violations Richard Meeran. Surya Deva is an associate professor at the School of Law, City University of Hong Kong. His primary research interests include business and human rights, constitutional law, globalisation and sustainable development. David Bilchitz is a professor in the Faculty of Law at the University of Johannesburg. He is also Director of the South African Institute for Advanced Constitutional, Public, Human Rights and International Law (SAIFAC).